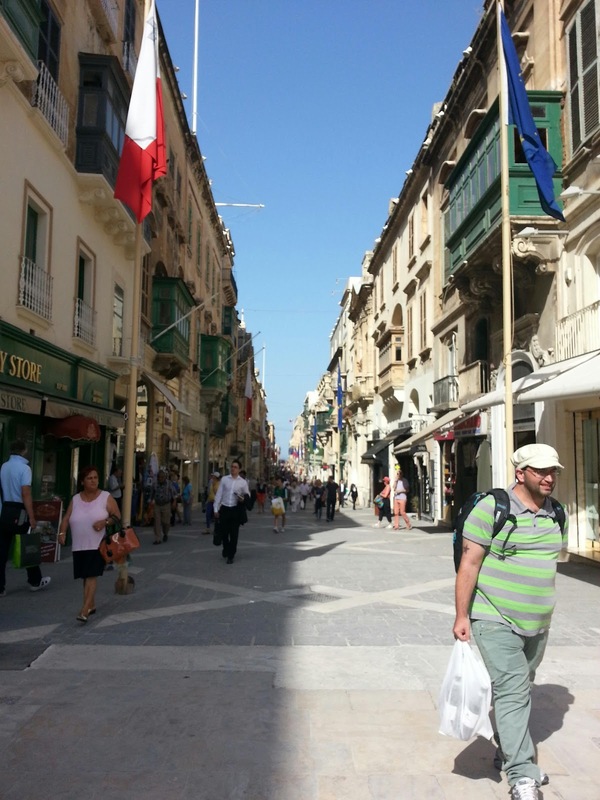 It's our 7th day in Malta now, I think the country won't easily bore or tire me, it is still great. I first want to say something about the people here, they are amazing, almost everyone, no I think actually EVERYONE is so nice and kind here. You just have to ask something and they will always react and answer with a smile. I love the no nonsense, easy going, relaxed mentality here. "if it's not today, it will be tomorrow". Or like they say in Tanzania: 'Pole Pole' (take it easy. I've been there once, therefore I know this. It's not that I'm some kind of language genius :p) So that's a great compliment for the Maltese people, I like them :). So, today we went to the capital of Malta, Valetta. Well, we didn't just went there, it's a bit more complicated. We were very tired this morning of some partying yesterday evening in Paceville (which was very nice! ), so we woke around 9:30, which is still pretty early if you ask me. 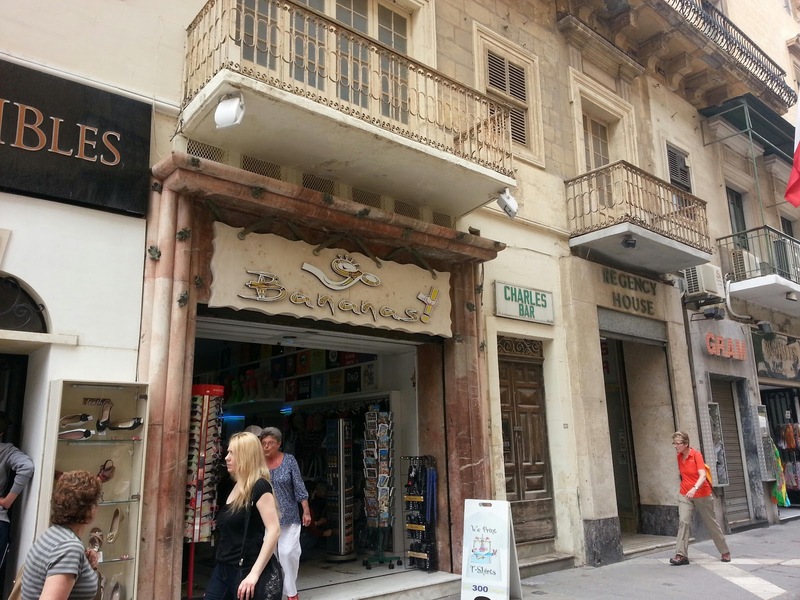 We wanted to go to the market in Birkirkara, which was due to be from 6:30 till 13:00. That's why we wanted to go early, which as you just read, did not work out. About 10 o'clock we left to take the bus from 10:37 (here in Malta there's something strange about busses. They are or too early, or way too late, but I get the feeling you can't really count on the bus times here. (Sorry if I got it wrong dear Maltese bus drivers!) We took the bus, 15 minutes too late, to Birkirkara. There we sought for about an hour for the market, but we just couldn't find it, anywhere. Maybe it was our fault, but we just couldn't find it, we tried our best, really. I state that it had just disappeared. At one point we just gave up, went to the McDonalds to eat a mcflurry and decided to go to Valetta, shopping. Girls will be girls, shopping is always good! 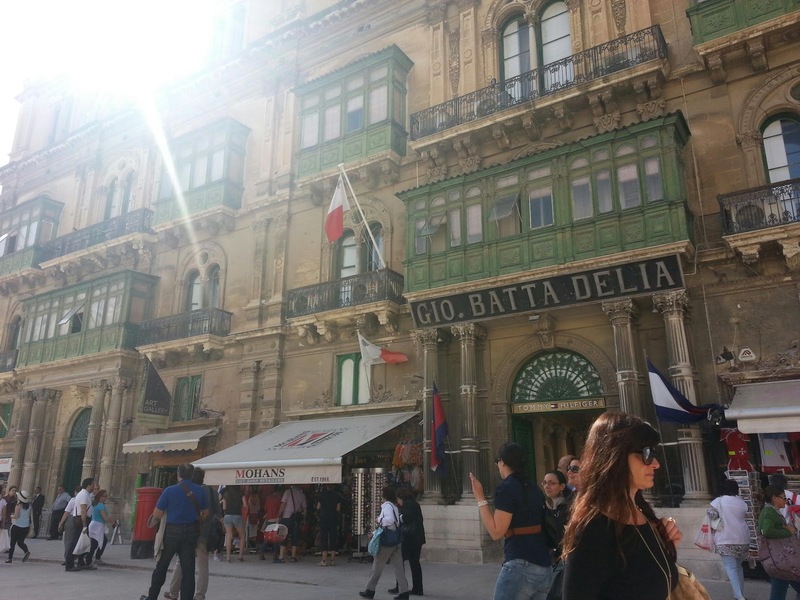 In Valetta we had a tiring but lovely day. It is a great city, I especially like the architecture there! We even went lunching on the main square, which was not so great but I won't spill words on that. All in all it was a pretty nice day. We had a problem though, on the way back. The bus was abnormally crowded, it was so packed I thought I would collapse after 5minutes in that heat. I made it though, strong girl ;). But it was quite aweful, standing for half an our and not a half square metre space. When we got out it really felt like heaven. The stupid thing was that there were 2 busses driving the exact same road, and the other one was almost empty... -.- But well, that's another experience and story to tell. And thats what I do, so actually I have to thank all these people to give me again something to write about! Thanks guys!